Microsoft is testing a live game show called Full House Poker in the vein of 1 vs. 100 on Xbox Live. A "confidential" email went out to beta-testers for the new game which promises live competition held on a regular basis. Like 1 vs. 100, Full House Poker players will be able to join regularly scheduled games of poker and compete against other gamers worldwide to get the final table. No gambling of real money will be allowed, as I'm sure that would be illegal, but players can earn experience points and chips over time. The game is under development by Microsoft Game Studios and it looks like they're gearing up for a beta test, but there is no word if or when it will reach the public. 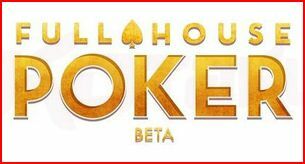 According to the email, Full House Poker will try to incorporate as much of the nuances of real poker as possible, including "unique tells and accessories for your avatar." It's unclear whether that means the game will use your Xbox Live Avatar but it certainly seems likely. Also, I don't know if the writer of the email realizes that you don't necessarily tell your opponent that you are bluffing. Having a "unique tell" is a disadvantage, people. Unless you're bluffing that you're bluffing, which is something completely different. The email doesn't mention Kinect, but this seems like a perfect application to be able to actually see who you're playing against. I hope Microsoft really taps into this aspect of the camera technology debuting today for something like this. It just seems like a better use for Kinect than jumping a raft over waterfalls or petting animals.